Jason Madama (213) will return to the MotoAmerica Twins Cup Series for the 2019 season racing an EDR Performance Yamaha. Jason Madama and Syndicate Racing are happy to announce EDR Performance will build and tune their FZ-07 engines for the 2019 MotoAmerica Twins Cup season. Jason had a successful 2018 season that saw him finish a very close second in the overall championship with multiple race wins and podiums. However, the team endured some technical difficulties with its equipment, so the team decided to switch its bike’s engine and tuning needs to EDR Performance of Portland, Oregon. EDR Performance, a long standing race shop with numerous national championships, hundreds of club championships and multiple track records, will take over effective immediately the building and tuning of the team’s FZ-07 engines to be ridden by Jason. Jason Madama is a racer out of Indian Hills, Colorado. He finished second in the 2018 MotoAmerica Twins Cup championship. Jason is excited to have Conquest CBD and RiderzLaw on board as the team’s title sponsors for 2019. ConquestCBD™ is an international brand in the hemp and cannabis industries and a leading manufacturer of hemp-derived cannabidiol (CBD) organic supplements, topical salves and pet care products. ConquestCBD™ was established in 2018 by founder Brent LaGrange in Evergreen, CO. Supporting Jason “Hammer” Madama in the 2018 Moto America Twins Cup Class was not a hard decision when “Hammer” presented the idea to Brent at ConquestCBD™. You can find ConquestCBD™ online and at retailers in the U.S. wanting the highest grade, strongest concentrations and purest formulation of Full Spectrum, Whole Plant Cannabidiol. More information is available at ConquestCBD.com. EDR Performance is a performance motorcycle shop located outside of Portland, Oregon. Founded in 1994 by Eric Dorn, EDR Performance is a full-service shop where they do everything from maintenance of your everyday commuter sportbike to in-house dyno tuning, engine builds, and even complete race-ready bike builds. EDR Performance has an extensive online presence and massive used parts eBay store as well as in-store parts and accessories. 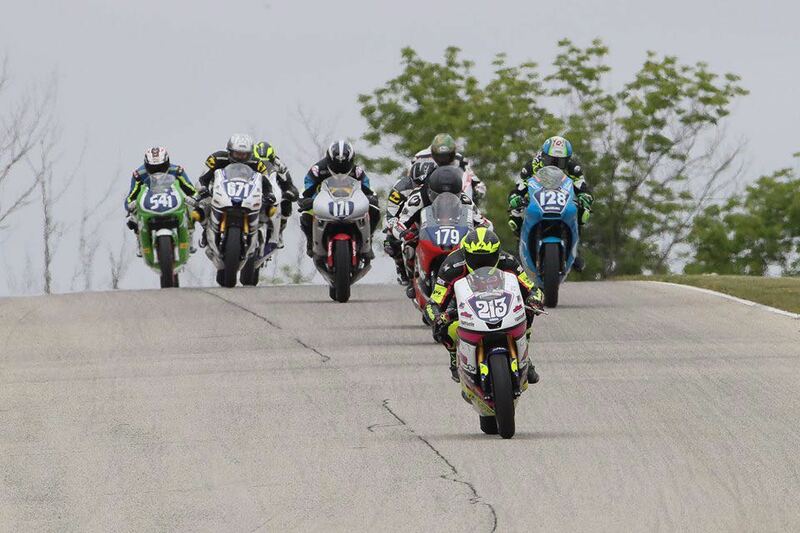 On the track, EDR Performance-built bikes have won multiple national championships, several overall club championships and hundreds of local race events in WERA, CCS, OMRRA, WMRRA, CMRA, CVMA, AFM, LRRS, etc. EDR Performance handles all aspects of motorcycle maintenance, service, parts and accessories. Jason Madama also welcomes the following 2019 sponsors and technical partners: Moto-D ,Spark Exhaust, Motorex lubricants, Syndicate Graphics, Apex Assassins track days, Scorpion USA, Flex Racing apparel and canopies, Carbonsmith 3D printing, Motorrev suspension tuning, Spy Optics, Vortex, Bonamici, Hustle Hard Racing, Carbonin, Robem Engineering, Eazi-Grip, Rosewood Electrical, Plus Racing Gear, the Altar bridal, and Moto-Rado.